Many Years Ago is rated 3.8 out of 5 by 8. Rated 5 out of 5 by MalakAhmad from Love games like this! Its the best kind of game! 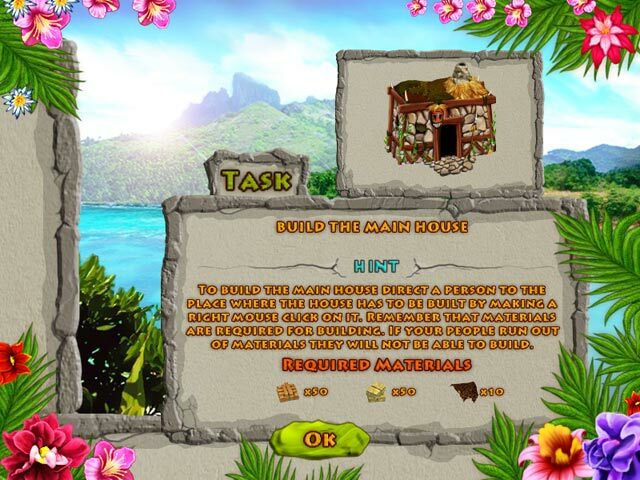 Building a village or restoring a village together while doing all you can to survive! Awesome game! 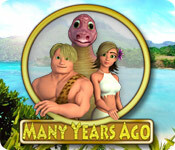 Rated 4 out of 5 by DebJW from Great Strategy Game! I loved this game. I generally like time management games but my Dr. wanted me to play some 'low stress' games for awhile. This was perfect and it's a game my grandchildren can play and really enjoy. It's a perfect beginners game except for being a little too short. I hope you have a follow up game that's longer but at about the same level of expertise so that the children will still be able to play it without too much difficulty. 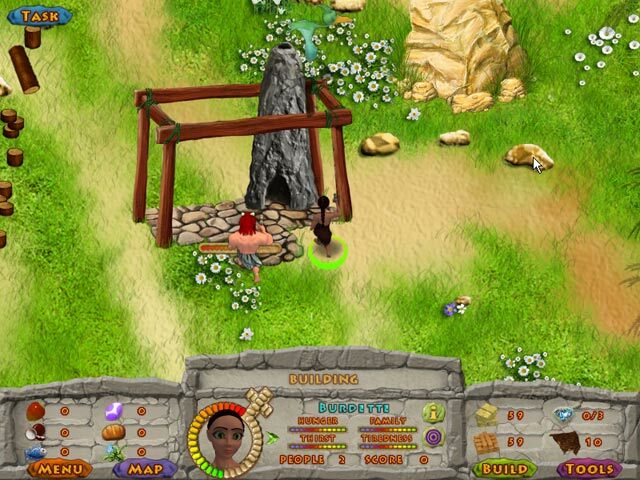 We all loved being able to customize our chief and lay out our village. I enjoy the mini games as well. It's a little break away from the primary game and they let you earn materials and experience to improve your villagers. Thanks for a game well done! Rated 4 out of 5 by gingergal from Short main game but good mini-games - great resource game for a beginner. My favourite games from ERS is always their non hidden object game and this is fun especially for me who loves strategy games but am useless at timed modes and this doesn't have any, which as a beginner I love. I rated it 3/5 for hardness as a beginner, so it's not hard and even I found quite easy. If it didn't have the mini-games I'd have given it a more solid 3 stars - good but not stellar. This is a resource strategy game with a tutorial, you can see all the playable area in the demo although the left hand side is locked at the beginning. You unlock mini-games as you progress which will earn you resources or you can just come back and replay at any time. There is a progression bar for each mini game and it shows you how many variants there are - there are a lot. match 3 - with character moving along the board like hidden wonders of the depth. I don't usually like match 3 but ERS has made me love them because of how they are done. timed pipe puzzle (variant) - I love pipe puzzle and there are loads of different configurations. I usually don't like timed elements but this made it more interesting and harder as you went along. 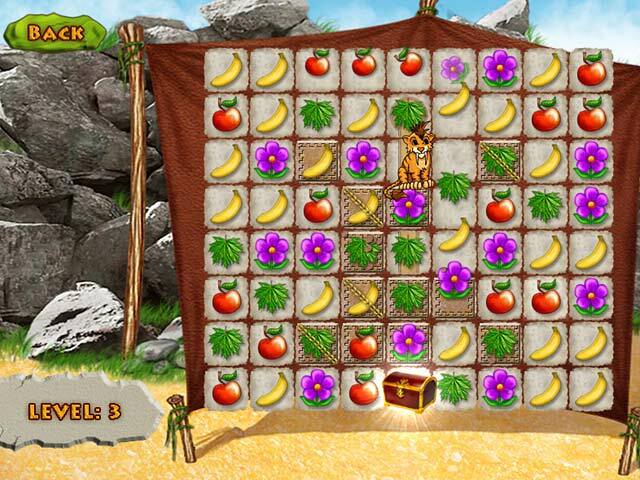 match pairs Like hidden wonders of the world if you've played that. Some are on top of others to make it harder. There is a slider which is the same design. There are two set mini-games (it doesn't change and once you've done it, it's over) - a simple jigsaw and a spot the difference. If you don't like them you can skip them and you don't need to play them. If you don't like mini-games then there are better and longer strategy resource type games out there but if you do and don't mind an easy short main strategy game then it is fun and worthwhile, especially for a DD. I wish there were more things to do and places to uncover in the main game and would have liked it to be longer but they won me over with the mini-games which I wasn't expecting. Rated 4 out of 5 by RunescapeFan from fun game but too short I really loved playing this game but I beat the game itself in 2 days.. yes there are a few minigames in the game I did not complete. I wish they would make a part 2.. like a new world wherever they sailed off too. my kids love this game as well and it seemed alot more fun for my 10yo.. lasted longer for him since he only gets 2 hours a day computer time (4 days a week)... but all in all a fun game.. Rated 4 out of 5 by 42parkroad from Pretty Good Game Quite Fun but rather short. Nice in game graphics and reasonable sound quality. the storyline is quite good but but only okay. Rated 1 out of 5 by Luigifan27 from Not fun! NO WAY THIS GAME GOT A 100% reveiws recommending! Pros:The only thing good about this game is the grahics. OK:Game was a little to easy for me. Cons:Terrible storyline the people should of been dead after a valcano. The sound was awful. Demo lasted after 30 mintues before I quit. The match-3 was horrible come-on this is a stragey game. There are more better games than this.